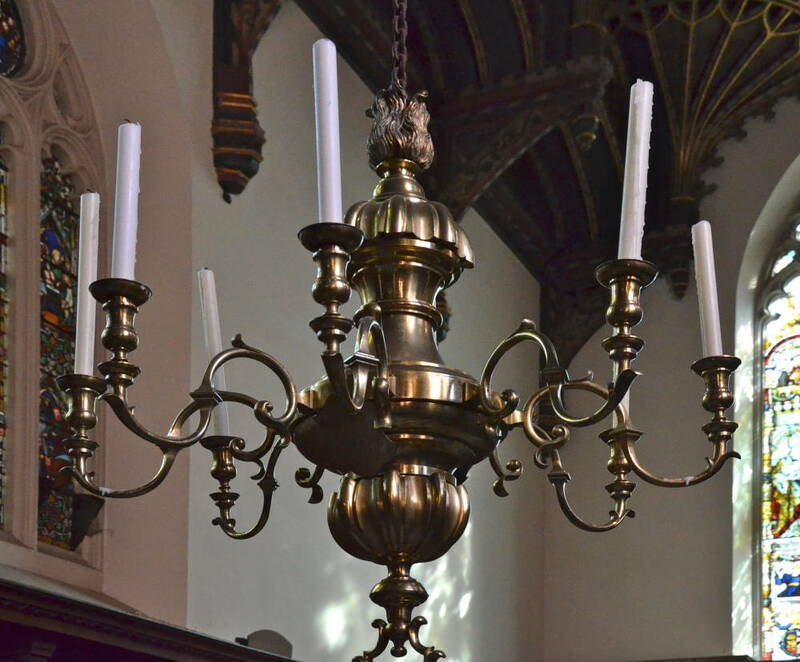 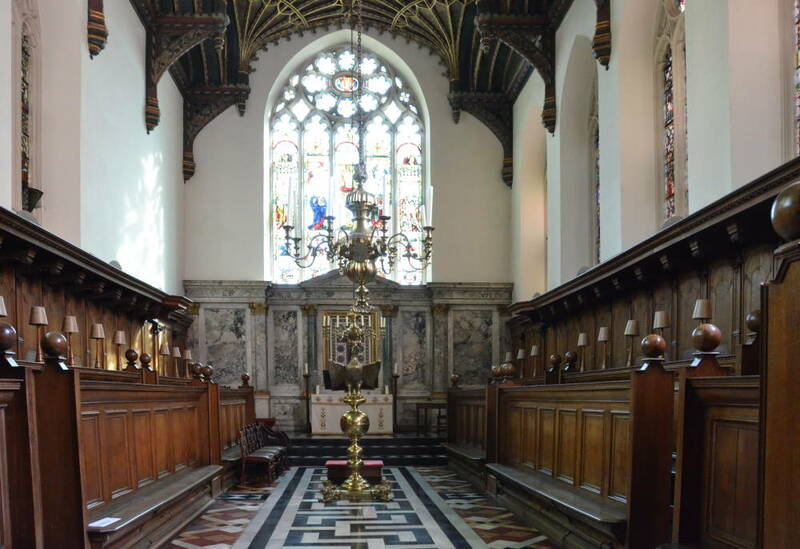 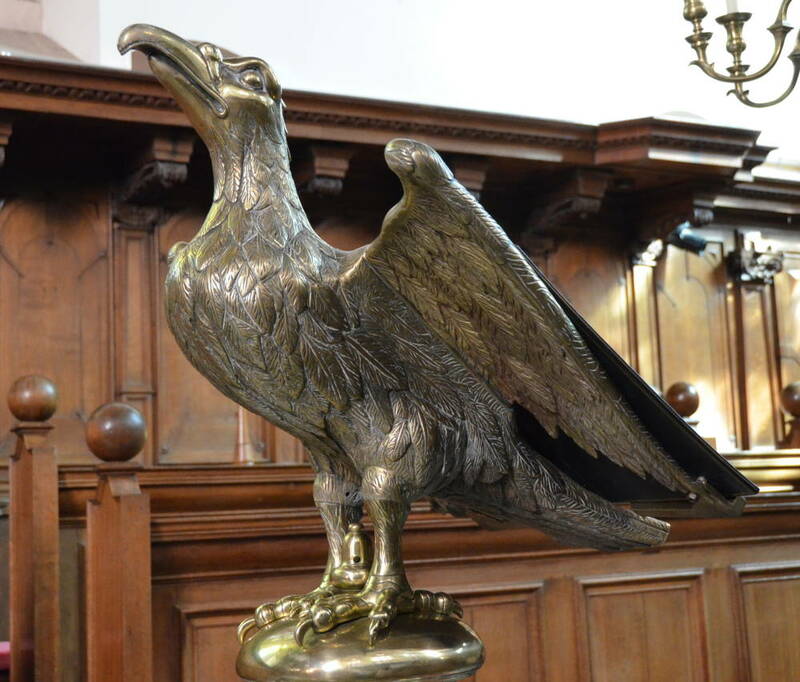 In 1666 Simon White (who was paid 22 d a day) received 52 £ 10 s 0 d for laying the floor of the chapel and antechapel with black and white marble (77-78). 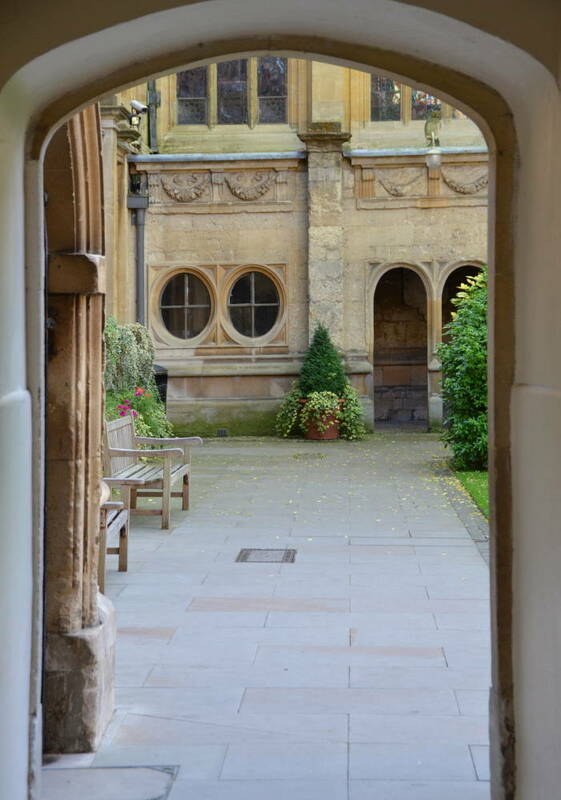 Left: Two views of the passage leading to the chapel. 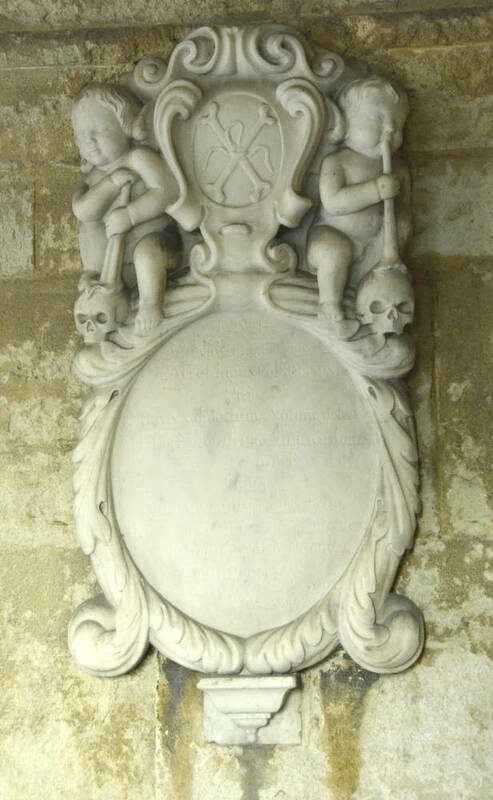 Right: An old monument or momento mori with cherubs blowing horns and skulls. 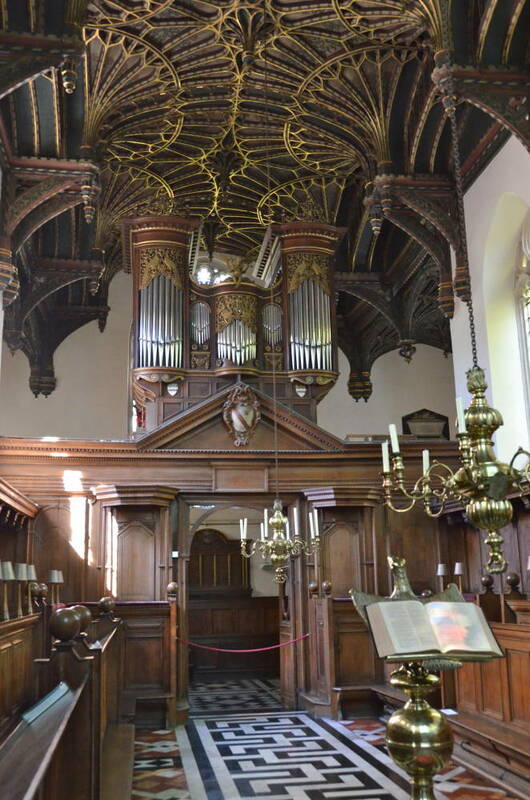 Left: A view from the chancel of the entrance and organ loft. 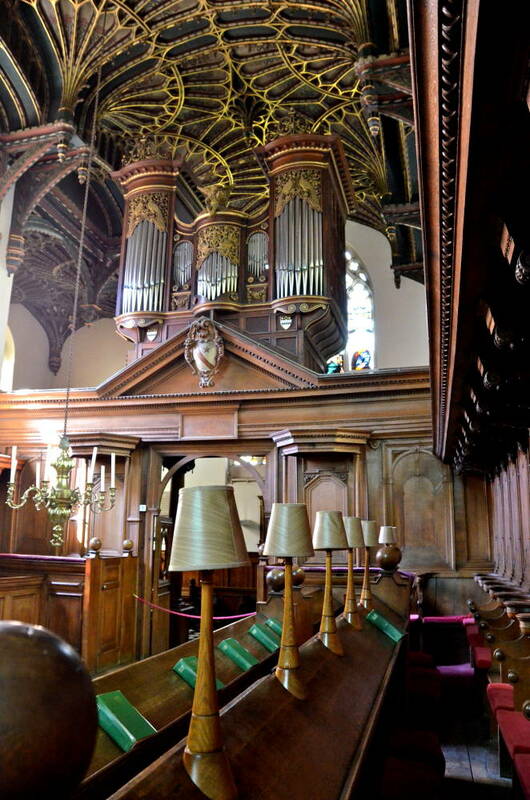 Right: The entrance and organ loft seen from the choir stalls. 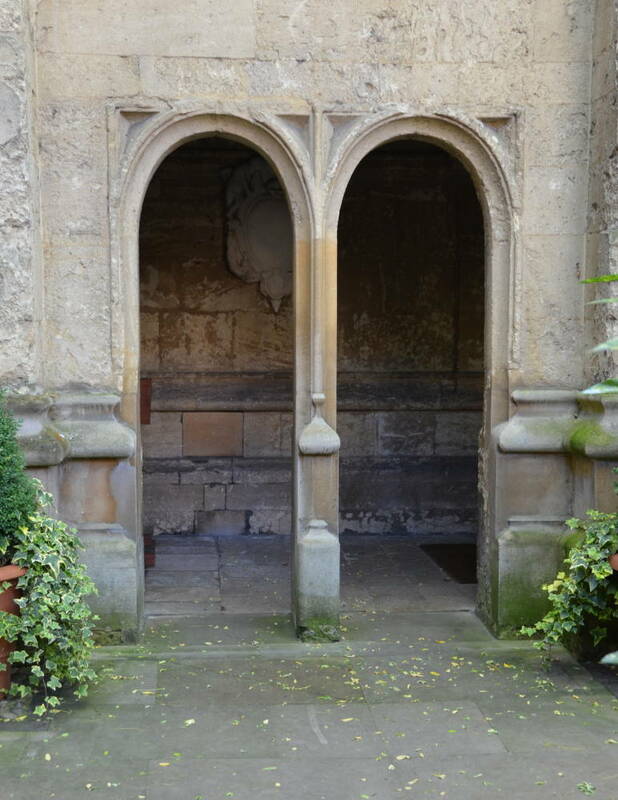 In 1845 Philip Hardwick replaced the “decayed tracery of the Easy window.” (79n). 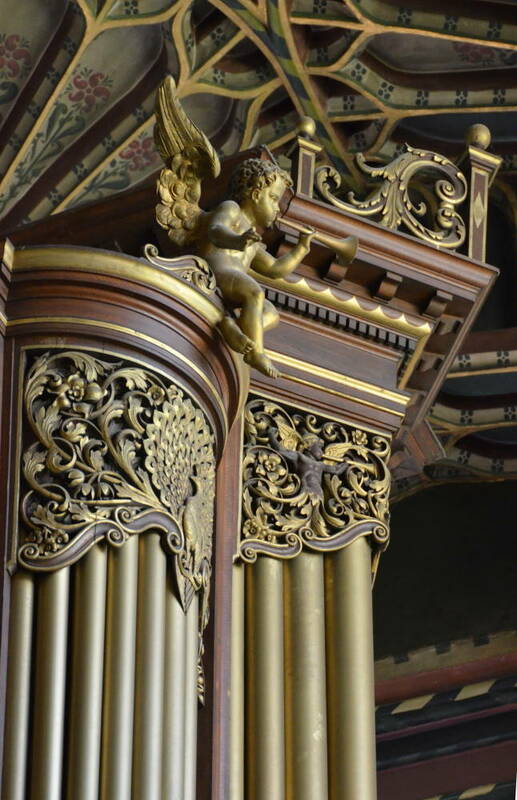 Kempe and Mills did the decorative marble flooring and wall colouring in 1901, and Kempe did much of the stained glass and painting in 1894-96 and 1901. 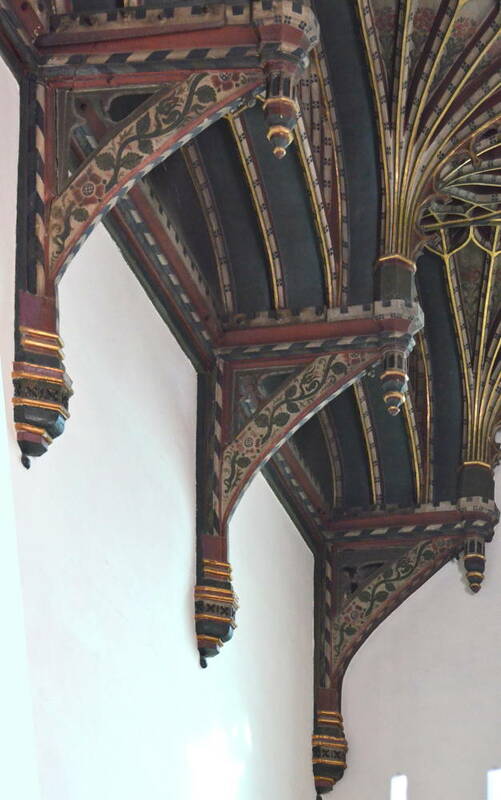 Kempe's elaborately carved, painted, and gilded ceiling. 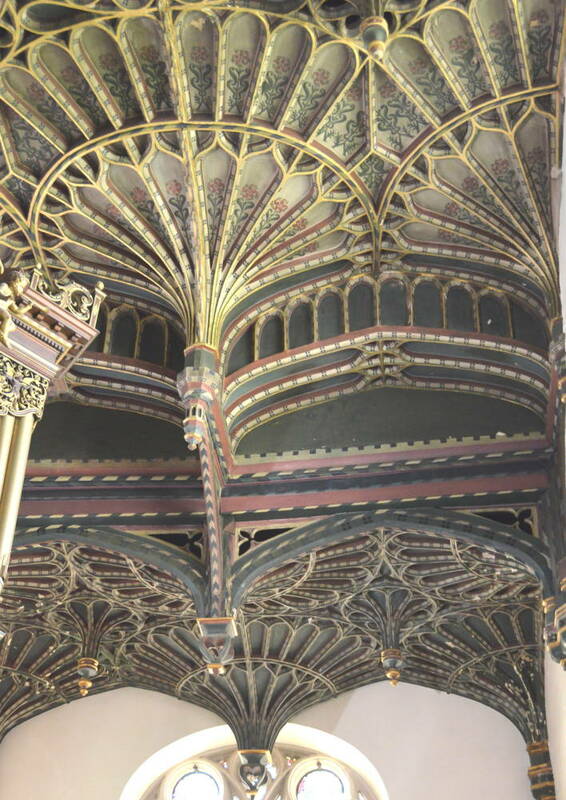 “Originally covered in ‘whiteening”’, this ceiling was decorated by J. C. Buckler in 1859-60, and redecorated by C. E. Kempe in 1891” (Plate 54 caption).